This statement by someone who has had dealings with Jack Sterling, appears quite similar to many emails the blog receives and if you visit any of his sites or forum, (links on the right side of this blog) you can witness the pressure of persuasion he applies. Honestly, my first impression of him was not good, but I later started to develop a relationship.. once he sells you a dog, he will continually contact you.and the fact that you love your dog, means he did his job well.and that you should like him.. is that true??? I don't think so..he didn't even breed any of the dogs I got from him.It was me who raised and cared, trained, showed and socialized them..yet he wants the credit..well, he will never get it from me..
"When you get a dog from Jack, the problem is that it's not yours, it's still his!" And the reason I raise this ?? 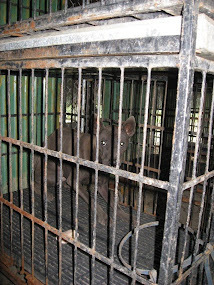 In the last week I have received several emails from people pleading with me to stop the exposure of what really goes on at the Sterling Puppy Mill by writing lengthy paragraphs that read almost identically to Sterlings sites & forum. 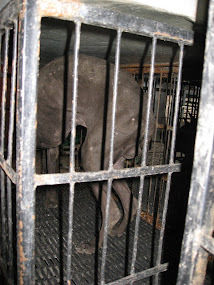 The reality is that Sterling has upset many people by continually harassing them to promote his puppy mill product. He has further upset many people by judging others' standards and criticizing them. When engaged in debate, affronted people have spoken their minds and Sterling has spoken his too. He has demanded they withdraw their statements and then attacked some by becoming overly personal & insulting. His defense, to claims made by customers, is to attack often without sympathy and in forums he is often abusive, crude and to the majority unacceptable. But then when given the opportunity of an innocent ear, he cowers, bleats his squeaky clean story & asks for sympathy. He has caused years of grief through lack of respect for people, greed for money and status, as well as running an inhumane production of dogs (inappropriate management of resources, volume of breeding and conditions). 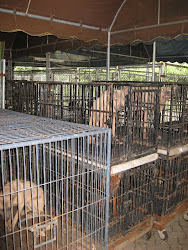 How much suffering the dogs have gone through is unimaginable. We're not talking just about a dog without a chew or toy, a dog without a regular walk or shower. These poor creatures are constantly subjected to abuse & neglect in the form of being institutionalized, poor feeding, cramped and soiled conditions and a lack of appropriate medical treatments. When innocent readers(people who have not had previous dealings / contact / conversations / troubles etc with Sterling ) see these postings, there is likely to be some element of "Give him another chance" or "Leave him alone, he is trying..."
This blog operates anonymously, because of Sterlings previous behavior. This blog does not allow direct 3rd party contribution, because of Sterlings previous behavior. This blog is making statements that many people have not been allowed to make previously, because Jack Sterling has not allowed them!